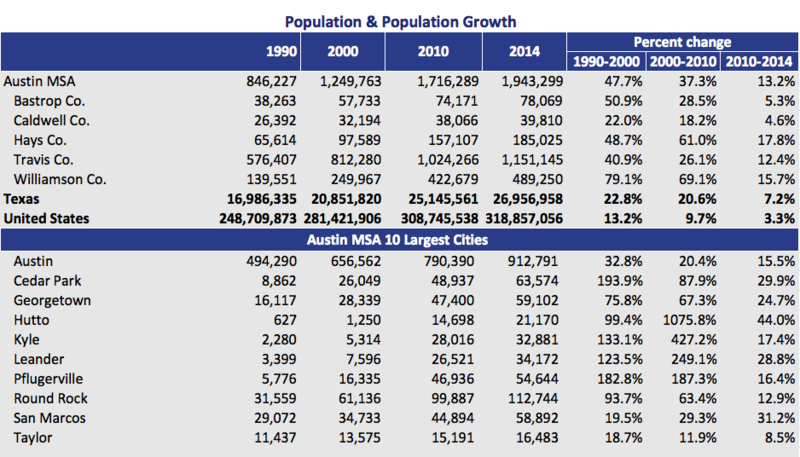 Austin has been welcoming people from all the other major urban centers in Texas, with even more coming from Florida, New York, Ohio, Michigan, Colorado, California, and Washington. They're drawn to Austin for many reasons, but economic opportunity and affordable living top the list. In fact, according to the Census Bureau’s annual population estimate program, between July 2013 and July 2014 there are approximately 157 new residents per day. Ranked #1 best city in America for startup businesses, according to 2015 Kauffman Index report. No State Personal or Corporate Income Tax. We're only one of 7 states in the nation with this advantage.